Help your players and remove all possibilites for confusion! 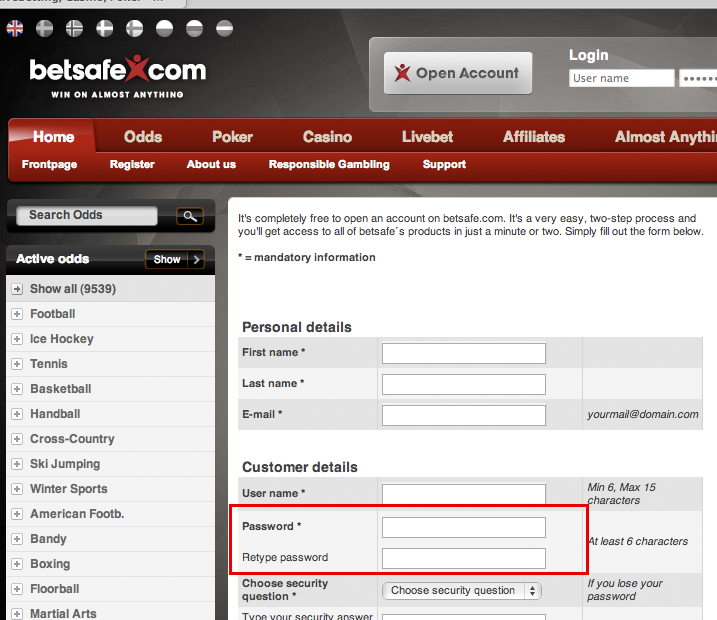 When I created an account with Betsafe (Betsafe’s casino page will be next week’s redesign) I noticed something a little bit confusing. In the image above you can see the Password input field which is mandatory. And below is the the field where you should retype the password. Isn’t that field mandatory? It actually is, but looks like it isn’t! I see the “Password” and “Retype password” fields as two seperate ones and “Retype password” should also be in bold and have the asterics showing that it is mandatory.